One of the lesser known features of Veeam ONE is its ability to divide the virtual environment into various groupings and categories, essentially creating a view that is easier to digest from a business standpoint. This view can be valuable when you consider that most tools we would use such as vSphere client or SCVMM/Failover Cluster Manager are often configured to present information and data, for say, a more a technical perspective, something which might not be relevant or even make a whole lot of sense for all business stakeholders. 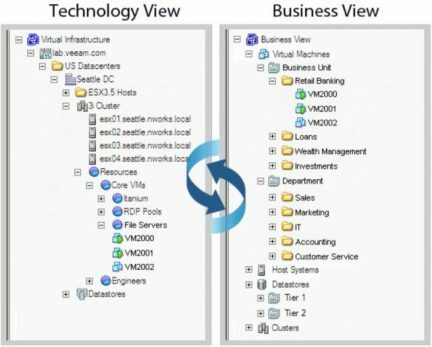 Both Veeam ONE Monitor and Veeam ONE Reporter will use this categorization provided by Business View. Veeam ONE Reporter, enables us to generate reports and build dashboards based on the categorisation created in Veeam ONE Business View. While Veeam ONE Monitor, we can monitor Veeam ONE Business View groups of VMs, hosts, clusters and storage objects. By leveraging Veeam ONE Business View to group and categorise these objects into a hierarchy that makes more sense from a non-technical perspective such as office departments, projects, SLAs and much more we can easily review and report on resource allocation and utilisation based on these groupings. Now that part is out of the way, I wanted to demonstrate how Veeam ONE Business View can be configured to help automate this process. We can configure set & forget rules and policies that organise objects into these group and categories. 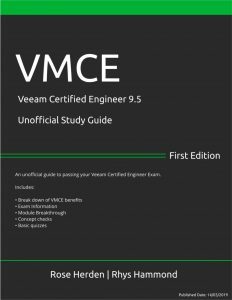 I’ve written this article to dive further into how one can configure Veeam ONE to categorise our infrastructure. This entry was posted in Veeam and tagged Veeam, Veeam ONE on 14/05/2018 by admin. Facing the threat of cyberattacks: how does your disaster recovery solution stack up? It’s a message every IT manager dreads. Yet, unfortunately, getting locked out of your company’s own data – and then being expected to pay a ransom to get it back – is becoming more common as cybercriminals get craftier. Like pesky bed bugs that have become immune to deterrents, ransomware attacks such as CryptoLocker, CryptoWall, Locky, TorrentLocker and Virlock are constantly evolving to sneak past all the new defences that IT security experts are busy building up. This entry was posted in Veeam and tagged Backup, cryptolocker, cybersecurity, ransom, ransomware, Recovery, restore, Veeam on 21/03/2018 by admin. Recently I had the opportunity to deploy Veeam B&R utilising Cloud Connect Replication for a customer to replace their existing DR solution. We were running into an issue with a couple replication jobs that were sitting at 99% for longer than I would expect, in some cases for several hours. I wasn’t sure what it was doing as there was no network traffic, CPU or even disk usage on the on the source that could be detected. The Veeam job showed no tasks currently underway and I didn’t want to speak to the Service Provider to check their end until I had verified everything was working as expected at the source so I kept digging. 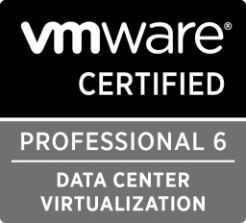 This entry was posted in Veeam and tagged 99%, Cloud Connect, job, replication, stuck, Veeam, VMware on 06/01/2018 by admin. 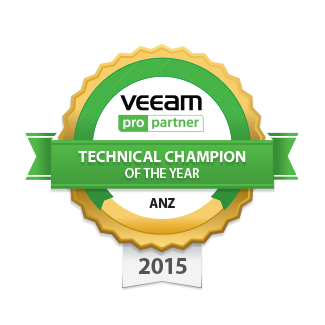 Rick Vanover has posted on the official Veeam blog regarding the opening of the Veeam Vanguard nominations for 2018. This will be the third year of the Vanguard program for which the recipients receive a variety of awesome benefits, one of which is a trip to VeeamON. Some Vanguards are bloggers, some are active on the Veeam Forums, some are active on Spiceworks sharing a lot of Veeam-specific information or even on the Veeam subreddit, the list goes on for all of the ways Vanguards have engaged with the Veeam community. If you know anyone that you’d like to nominate, perhaps yourself even, I strongly recommend giving it a go. Nominations will be accepted until Friday, Dec. 29. You can go through the nomination process here. This entry was posted in Veeam and tagged Vanguard, Veeam, Veeam Vanguard on 16/11/2017 by admin. B2 Cloud Storage is an object storage service offered by Backblaze that enables users and organisations to upload files to their heart’s content billed on a per monthly basis using a pay for what you consume model. 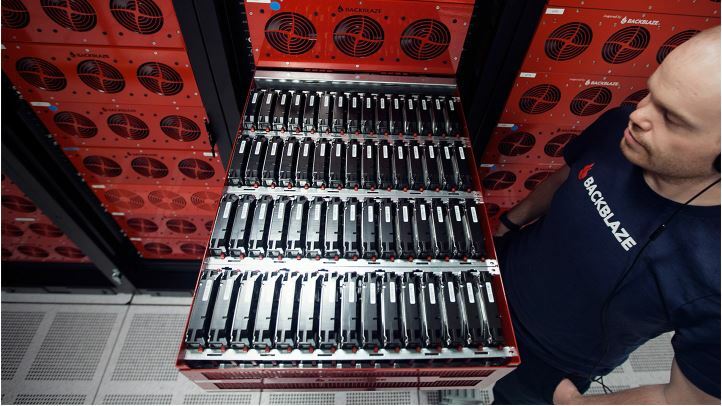 Backblaze has evolved this object storage service ‘B2’ out of the already successful $5 a month unlimited backup plan which was built from the ground up using Storage Pods. Storage pods are designed in-house by Backblaze, leveraging consumer grade hardware and hard drives in a purpose-built chassis designed to minimise costs, reduce footprint and yield the best dollar per GB possible. For example, using 4TB drives, they can achieve a cost per GB as low as $0.036. These Backblaze pods, which are now up to revision 6, are literally filled to the brim with hard drives, over 60 of them in fact in a 4U chassis. I recommend that you go and check out more on these awesome units here. 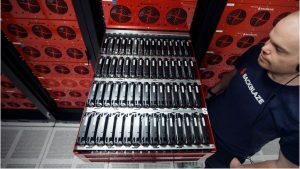 So, Backblaze takes these Storage Pods a step further for B2, by grouping 20 at a time into a Backblaze Vault it enables them to optimise reliability and durability of the entire system. This entry was posted in Backblaze, Veeam and tagged B2, Backblaze, Object Storage, Veeam on 24/10/2017 by admin. Ok, we have created a B2 bucket and we are now ready to configure our Synology NAS. Now, in my case, I am just reusing a previously configured shared folder which is fine for my homelab testing so I’ll be going straight into installing and configuring CloudSync with B2. However, it is recommended to create a new shared folder dedicated for storing Veeam backup files and lock it down with authentication anytime you are deploying into production. REMEMBER: It is important to size your volume correctly so that it can handle your retention policy capacity and performance requirements. 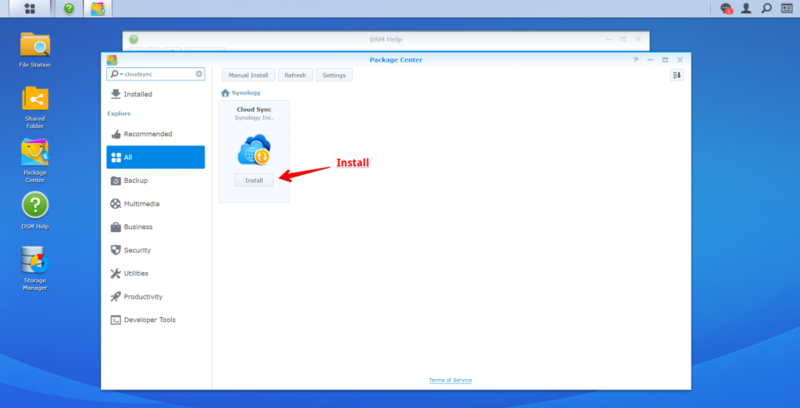 So let’s get started, first we need to install the Synology CloudSync Package, this will allow integration with Backblaze B2. During the installation, it will ask where you would like the packaged to be installed, I just picked ‘volume 1’ as that is where my other packages have also been installed. So running the Veeam job, we can see that we are only writing backup data to a local SMB share so, in theory, it should complete successfully just like any other normal job. So Backblaze B2 Cloud Storage, in a nutshell, it works similar to Amazon S3 or Microsoft Azure, allowing us to store vast quantities of data in the cloud but does it for 1/4th the cost of your typical object storage provider. Because B2 doesn’t include any client software to interface with any time we access the storage we need to use either the web GUI, API or CLI. In the case of Veeam, this means we need to rely on a ‘cloud gateway’ which there are several options available that are compatible with B2, in this particular article, I have explored configuring a Synology DS1812 with the CloudSync package. Now when designing our Veeam backup job settings there are a couple considerations. Ideally, we want to minimise the amount data that needs to be uploaded to our B2 buckets because we are charged per GB each month & upload bandwidth is typically our biggest bottleneck. Veeam currently does not have native integration with object storage so we need to rely on ‘cloud gateway’ devices such as Synology CloudSync. Both Synology CloudSync and Backblaze B2 offer no data deduplication, meaning if we create several full Veeam backups files to our Synology CloudSync backup repository, each Veeam full backup file will be uploaded, in full. This is in contrast to other solutions such as Microsoft StorSimple which leverages a ‘volume-container’ global block-level dedupe which means even if Veeam sends multiple full backups files to a backup repository, the StorSimple will only upload changed/unique blocks due to its block-level dedupe capability. The Synology CloudSync package is not aware of when the Veeam backup files are being created/modified by Veeam, this can result in files being uploaded before Veeam has finished, this happens a lot with .VBM files. Veeam features such as Storage-Level Corruption Guard and Defrag/Compacting the full backup file should be avoided as this results in a new full backup file being created. With the above in mind, we need to decide whether we should configure backup job (primary backup target) or a backup copy job (secondary backup target). 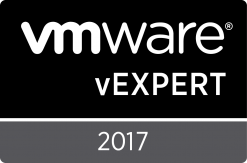 This entry was posted in Veeam, VMware and tagged B2, Backblaze, Object Storage, Veeam on 24/10/2017 by admin. Ok, to get started we need to know that storage for a Backblaze B2 account is grouped into buckets. Each bucket is a container that holds files. 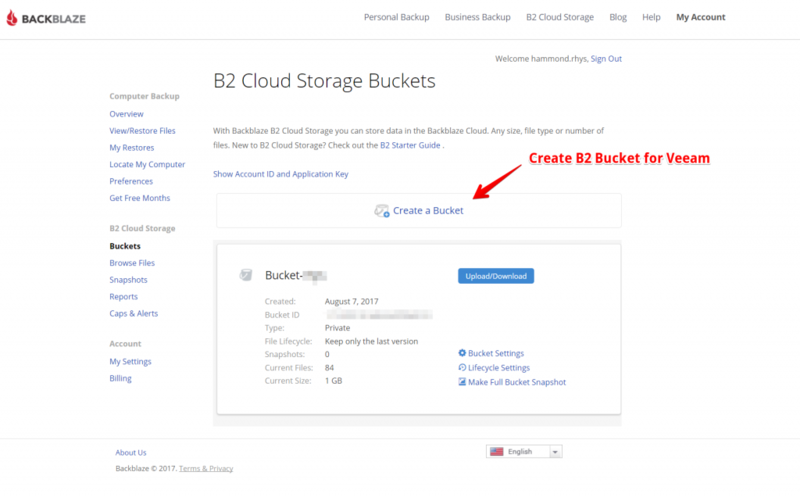 We can think of buckets as the top-level folders in our B2 Cloud Storage account. There is no limit to the number of files in a bucket, but there is a limit of 100 buckets per account. So I’m going to assume that you have already created a Backblaze account and are ready to start creating B2 buckets. In my case, I had already created an existing bucket for another test (which I have blurred out) but I will be creating a new bucket specifically for our Veeam backup files. Let’s begin, first, we need to open up the Backblaze web portal and signing into our account. Once signed in we need to create a bucket.